The year-end survey post wasn’t enough stats for me! So here are far more than you ever need. And in pie charts! Because, FUN. And Geeky. 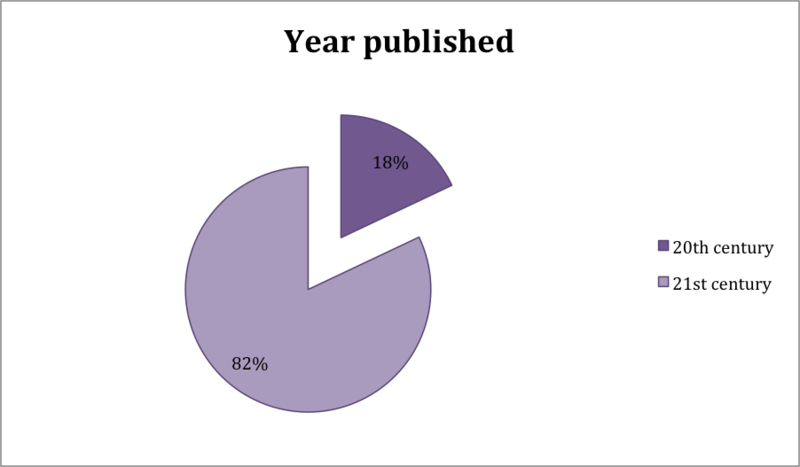 And in case you are dying for more pie charts and stats, here’s my post from last year! 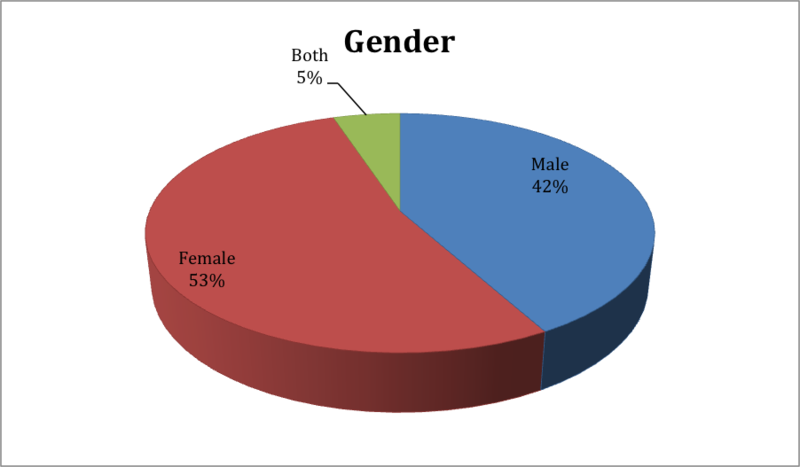 A slight decrease of female writers from last year (58%). Must pay more attention to that next year. This year I added the awkward genre of ‘graphic memoir’, but put ‘graphic novel’ and ‘graphic memoir’ together and that is a big chunk of my year! I oddly didn’t label any books as ‘classics’ in my handy dandy spreadsheet (shame on me), although I did read 14 books that are older than me. More specifically, the oldest book I read was published in 1915 (Willa Cather’s The Song of the Lark). 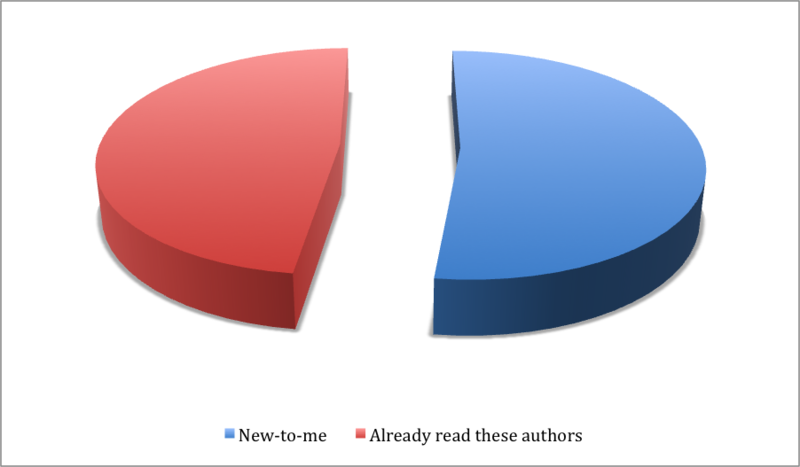 And I seem to read more recently published books than I thought I did. More specifically, 44 books published in 2014! 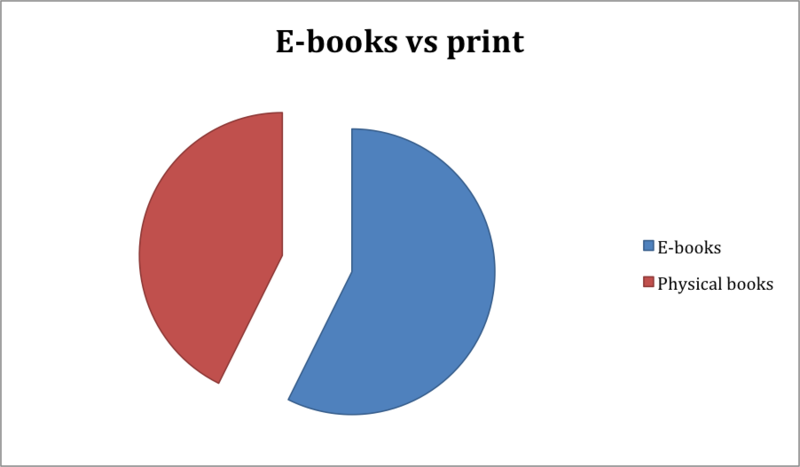 Oddly, more printed books than e-books this year. Probably because I got to the library more often. And more library books – at 88% compared to last year’s 82%. I didn’t analyze this statistic last year, so I have no idea how this compares. But it’s still fun to learn that I’ve come upon plenty of new-to-me writers this year! In case you’re interested, here are my favourite new-to-me authors. I hope to amend this by reading more books in translation for the Books in Translation Reading Challenge. See my Top 10 reads of the year here! I had a great reading year in 2014. Here’s to plenty more exciting reads in 2015! So far, my plans are to join the following reading challenges: Books in Translation, Back to the Classics, and Reading England (see my challenge page here), as well as the shorter events like Once Upon a Time, RIP, Diversiverse. Happy reading and best wishes for a wonderful 2015! How fun and nice to be able to track your reading. I’m 90% sure that I’ve read more books and 100% certain that I’ve bought more books (mostly secondhand and thanks to Oxfam in Brussels) this year than in 2013. Wish I would do a better job with reviewing the books that I’ve read. Hope that you’ll have a great 2015 and happy reading! I am terrible at reviewing books. I don’t think I did any of that last month! Happy 2015! 217! Great job. I did a terrible job of keeping track this year so I might not do charts. But we’ll see. They are such fun to make! 200+ books AMAZES ME! You are awesome. 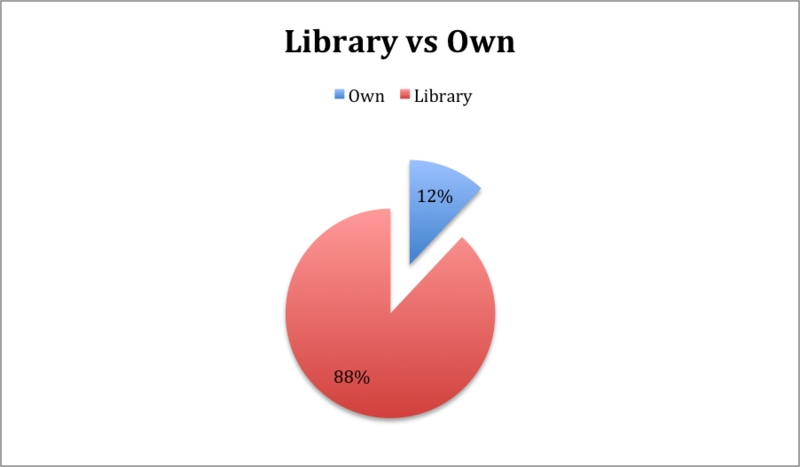 Love your library to owned ratio. I think I should figure mine out. I could have fun with pie charts.